An new update has been introduced to your Owner Portal that allows you to share work orders with your property owners. On Monday, our developers introduced the option for account managers to share transaction attachments with owners in the Owner Portal, but development didn’t stop there. The new work order sharing feature enhances your ability to communicate with owners regarding their properties. The Owner Portal allow a property manager to provide their owners with an online account to view real time property performance. Owners can see simplified data of overall property performance. Each owner is given a unique login to view a personalized online account that only displays information relevant to their properties. To activate this new feature, visit Settings -> Program Defaults. The option to activate Work Order sharing with owners is visible near the bottom of the list. A property owner has several options to access work orders. 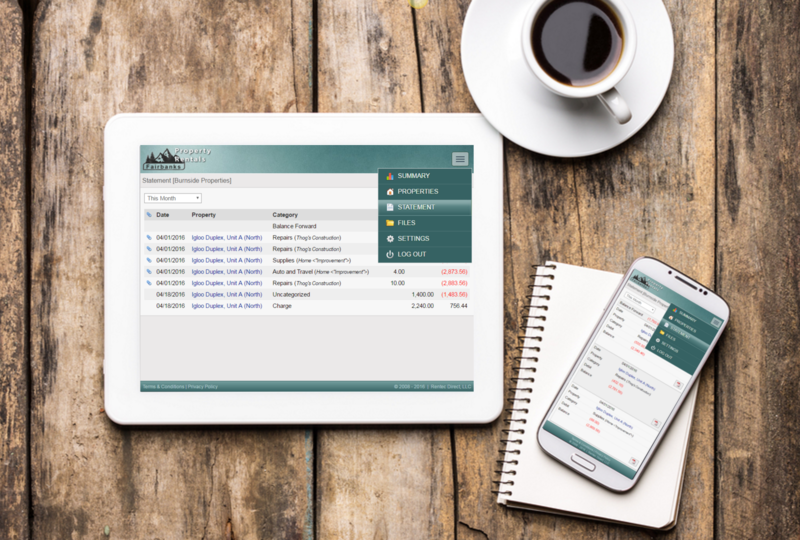 Within the Owner Portal when viewing the Property list, a wrench icon will be visible for any property that has open work orders, with a number indicating how many. Clicking the wrench will access a list of open work orders for that specific property. Additionally, work orders may be accessed via the owner’s Summary page. The summary list will indicate the number of open work orders. A new link at page bottom will allow visiting the work order page to show all work orders, whether open or closed. 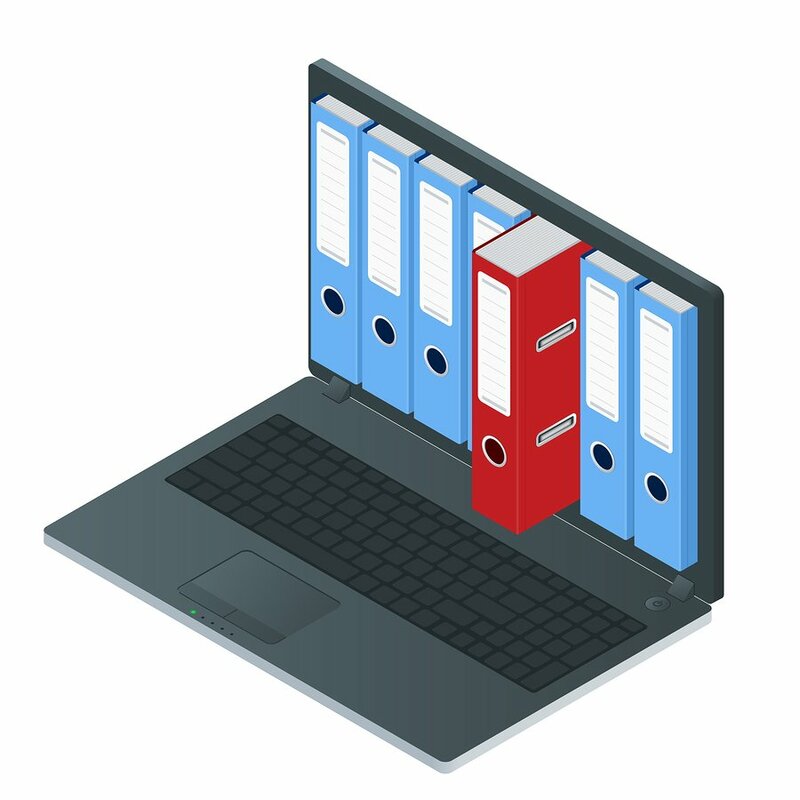 Work orders initiated by a tenant or by you can contain file attachments. These may be photos or documents supporting a particular work request. The Owners’ view of a work order includes a subset of the information, including file attachments. This feature has been further enhanced to give you even more finite control over workorder sharing with owners. 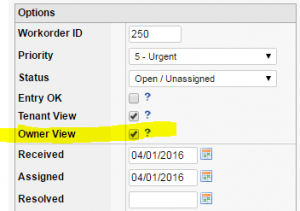 When adding a new workorder, you have a new option to let the owner view the workorder. By default this will already checked if your settings already allow owners to view workorders, but you can uncheck this box to keep the workorder private. This feature update comes thanks to clients like you who vote on feature requests. We want to continue making Rentec Direct the optimal tool for your property management needs so let us know in the comments or visit our article on How to Vote on Feature Requests. I am just beginning to review Rentec Direct as a solution for my property management business. 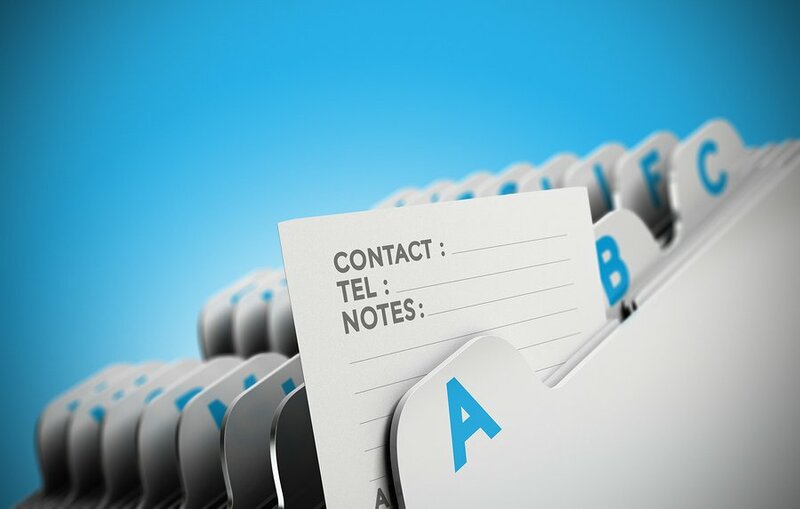 Are tenants able to submit work requests? If so, that is huge for pm and owners alike to be able to view and respond. Yes, tenants are able to submit work requests via a tenant portal, if the portal is activated by the property manager. Letting the word out early here… we are just finishing up the conversion of the tenant portal to a responsive design for mobile phone use. Tenants will shortly be able to access this convenient tool using a smart phone.